I have to be super speedy this morning- I have a taxi collecting me for the aiport in 30mins and I haven’t showered, dressed or packed! Talk about commitmment to my bloggy blog!! I will be spending the day wandering around Melbourne (I need new jeans badly and probably a massage!) and then I head off to Daylesford tonight- enjoy your Friday! 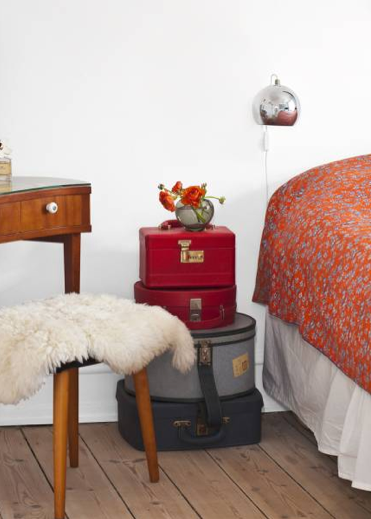 So whilst we are on the subject of unpack suitcases don’t forget they make adorable stacked tables for bedrooms!